Linux or, less frequently used, is a Unix-like and mostly POSIX-compliant computer operating system assembled under the model of free and open-source software development and distribution. The defining component of Linux is the Linux kernel, an operating system kernel first released on 5 October 1991 by Linus Torvalds. The Free Software Foundation uses the name GNU/Linux to describe the operating system, which has led to some controversy. 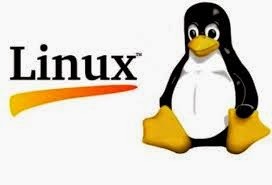 In this post discuss Most Useable advensed Linux commands for linux operating system user which helps in many ways . If you are not linux administrator then these commands can help you in many ways . Following commands are very important . this command is used to setup network details . Also we can see ip address of the system . there are many uses of this command . complete usage of this command can be seen use command "man ifconfig " . netstat is very important command to use on servers . it shows details about all port activities . which port are working and how many connections on the ports at any time . complete usage of this command can be seen using command "man netstat" . traceroute google.com --> will show all nodes of connectivity between your system and google.com servers . iostat --> will show average of input and output operation on every disk partition . iostat 2 --> will show continuously current io statistics . mpstat shows output stats of every processor available . mpstat , mpstat -P all --> will how all processors statistics . mpstat -P 0 --> will show just first processor output statistics . these three commands will provide you details about how many user are logged in the system and from how much time . w --> will show details of all logged in users . who -- > similar to w but show less details . whoami --> will show you your username . who am i --> will show you more details about your login . top is most basic and mostly used command . it can provide complete overview of your system . This will show CPU usage , RAM usage , load on system ,which process is using maximum system .etc . slightly modified version of top command . It show use individually of every CPU . this command is used to make two directoris in sync with each other . This can be used over two different systems or on the same system itself . rsynch -uar /home/parveen/ /home/backup/ --> this will send all updated file from /home/parveen/ directory to /home/backup directory . rsync --rsh='ssh -p22' -aur root@192.168.0.1:/home/parveen/images/ /home/parveen/images/ --> this command will get all files from different machine to current machine . lsof -u root --> will show files opened by user root . lsof -p 10 --> will specify opened file by specific process .i.e process id 10 .
find /home/ -name abc.txt --> this command will try to search file abc.txt under directory /home/ . find / -name abc.txt --> this command will find abc.txt in the whole system . find . -name abc.txt --> this command will find abc.txt in the current directory . whereis cp --> will show the location of cp command . This may also search is binary files . unalias pp --> now pp will no longer be any alias . df -k --> this will show all partitions witgh there usage and free memory available in bits. df -kh --> this will show size in MB KB and GB format . this command is used to show disk usage by directories and files . this can be used in maby ways . du --> will show directories which are using some space that means files which are non empty . du -ah --> will show memory in human readle form like KB MB GB . du -s --> will show summarised memory . du -sh * --> will show memory taken by all files and directory at your current location with human readable form . this command is used to find difference between two files . for comparison of two files this is well structured command . diff file1 file2 --> will print differences between this two files .